IHG (InterContinental Hotels Group has signed a franchise agreement with CL Capital to debut voco, IHG’s new upscale brand, in the West Midland’s town of Solihull. The hotel will be managed by Kew Green Hotels (KGH) and will be the second voco property in the UK, following the opening of voco St. David’s, Cardiff. 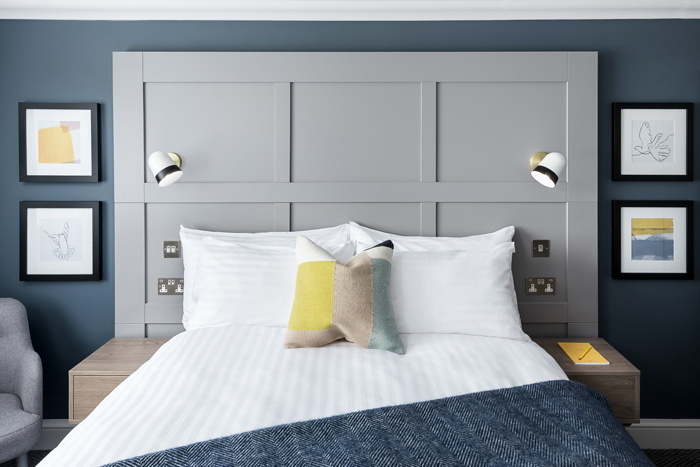 The 180-room voco St. John’s, Solihull has recently opened under the voco brand, following a transformative refurbishment to the guest rooms, lobby, and the hotel’s restaurant and bar. The hotel benefits from the voco brand’s bold and distinctive interior design, bringing warmth and a modern touch. voco, inspired by the meaning ‘to invite’ or to ‘come together’ in Latin, combines the informality and charm of an individual hotel, with the quality and reassurance of a global and respected brand. voco is IHG’s newest brand, launched in June 2018. It is focussed on conversion opportunities and strengthens IHG’s offer in the $40 billion upscale segment, which is expected to grow by a further $20 billion by 2025. The new brand from IHG is set for rapid expansion with a view to open more than 200 voco hotels in attractive urban and leisure locations over the next 10 years.